Where should you go to watch the World Cup? No matter what you're looking for or what country you support, we've got you covered. WASHINGTON — Despite the U.S. Men’s National Team’s shocking failure to qualify, the World Cup is motoring right along this summer with celebrations all around the D.C. area. Whether you’re looking for a specific country’s meeting place or just a spot to park out and watch a whole slate of games, we’ve got you covered. For a look at country-specific watch parties, flip through the slides below, organized by World Cup Groups. Below the gallery is a list of establishments showing every game. If we’ve missed any, feel free to reach out and let us know. 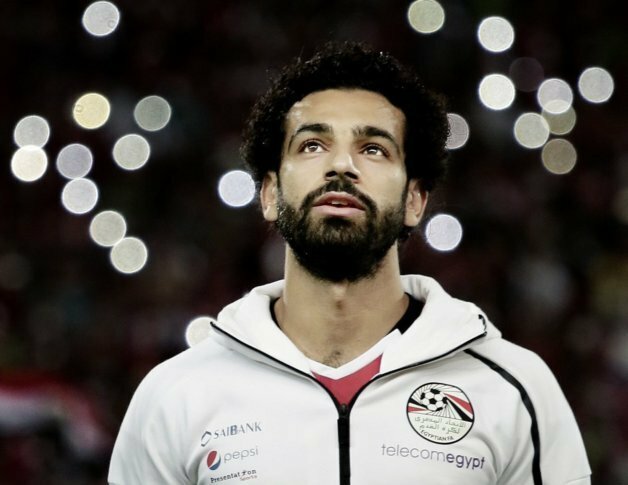 Egypt is in its first World Cup in 28 years, and you can watch every game in a festive environment at Fava Pot in Falls Church. Read our full profile here. We haven’t heard back from the embassy or any restaurants or bars about any official watch parties — let us know if you hear anything. There’s been no word from the Uruguayan Embassy, and Del Campo has been temporarily displaced, so we haven’t seen anything official for Uruguay in the D.C. area. Let us know if you know of something and we’ll update the list. If you’re looking for traditional soccer bars, The Lucky Bar (1221 Connecticut Ave. NW) Open for breakfast seven days a week, is offering food and drink specials with a Russian twist. Mackey’s Public House (the former Laughing Man Tavern at 1306 G St. NW) is open every day at 10 a.m. for games. Meanwhile, Irish chain Fado (808 7th St. NW) has branded itself as “D.C.’s 2018 Cup Headquarters” and will be showing games all month long. Elephant & Castle (900 I St. NW) will open early and show all the games, while their location in Federal Triangle (1201 Pennsylvania Ave. NW) will show all the games once doors open at 11 a.m. If you’re looking for a slight change of pace, World Cup HQ is a pop-up bar in what used to be The Prospect in the 1200 block of U Street NW. Looking for something a little more refined? The Fairmont Washington D.C., Georgetown (2401 M St. NW) has set up a Soccer Central, with a wide representation of food from different participating countries, as well as foosball tables. Want to take your viewing experience outside? Field House DC (1901 First St. SW) is a 42,000- square-foot open-air beer garden with a 20-foot LED screen, food trucks, picnic tables and games set up just across the street on the south side of the still-under-construction Audi Field, which is set to open just as the World Cup closes. If you’re out in Northern Virginia, Tysons Biergarten, across the street from the Greensboro Metro, at the intersection of Leesburg Pike and Chain Bridge Road, will show all the games on their 17 TVs. Know of any other spots we should add? Let us know.